Crush the competition with this race ready rocket ship. The Giant Propel Advanced 2 offers best-in-class aerodynamics with sharp yet stable handling, without hurting the bank balance. 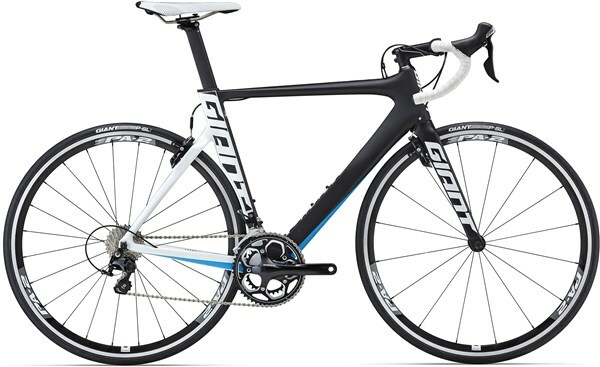 You can buy the 2016 Giant Propel Advanced 2 through a 0% interest Tredz Finance package. You’re getting an exceptionally built frame from this price point. 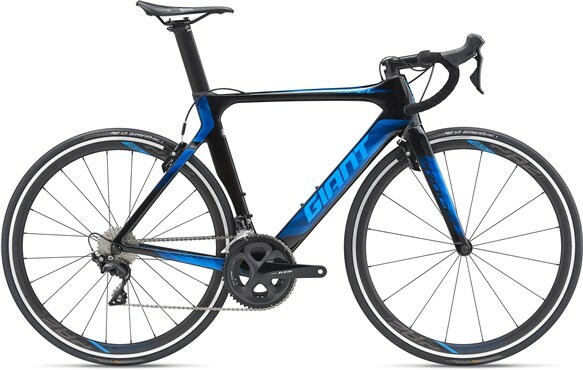 Giant call it their Advanced Grade composite frame where only high performance grade raw carbon fibres are used because of their stiffness to weight ratio. The resin incorporates vibration damping particles to keep you feeling less fatigued as you clock up the miles. The frame is built as a modified monocoque construction. A one-piece front triangle is joined to the rear stays. This eliminates the need for the outermost composite sheet to reduce weight without compromising ride quality, strength or stiffness. The Propel Advanced 2 is designed to win, with Aerosystem shaping technology. Each tube is optimised using CFD (computational fluid dynamics) and honed with wind tunnel data. Air turbulence around the frame for maximum efficiency. Down low is Giant’s oversized bottom bracket area (PowerCore) that provides solid stiffness that won’t budge when you’re putting the power down. 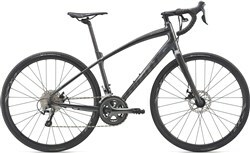 Upfront front is an OverDrive steerer and Advanced Grade composite fork for ultimate stiffness and knife edge steering. Take corners at speed in confidence. Clad to the quality frame is a performance level Shimano 105 11 speed groupset with compact cranks. Giant SpeedControl brakes are designed for aero efficiency as well as stopping power. Also Giant’s own P-A2 wheels are quick to speed, durable and come with a deep rim for an aero advantage. Coming from a hybrid to this as my first road bike and my God it's fast. Just had a quick 5 mile blast and I was really surprised by the performance. Light, sensitive steering. Looks the part and can't be happier. Still a little bit of tinkering to do but well worth the price. Just received this rocket of a bike. The pictures do not do it justice. The white is more of an opal with a slight glitter in it which makes it stand out more than you think. Have only taken it out for a quick spin but o boy is it fast. You stamp your foot down and you take off like a herd of antelopes being chased by lion's. If you want speed this is the bike your looking for especially at this price. And on top of all that the service from tredz is top notch.